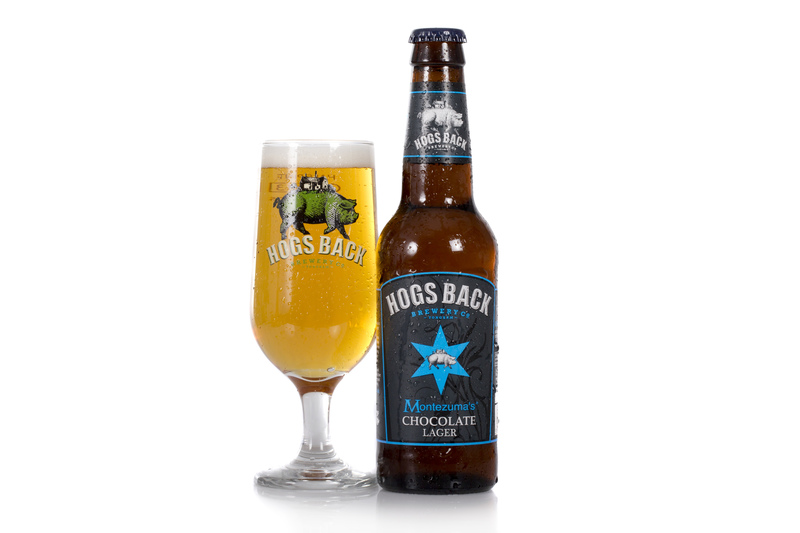 Pork Choc – Montezuma’s and Hogs Back Brewery launch Chocolate Lager | It Comes In Pints? Regular ICIP readers will already know that my love of beer is matched by my love of chocolate. I actually have a chocolate cupboard at home (I’m not even joking). Being the chocoholic that I am, I am on the mailing list for Montezuma’s, the Sussex-based chocolatiers, and you can find several of their products in my Special Chocolate Cupboard. So when an email pinged through advertising a collaborative beer with Hogs Back Brewery – a Chocolate Lager – I could barely believe my luck. 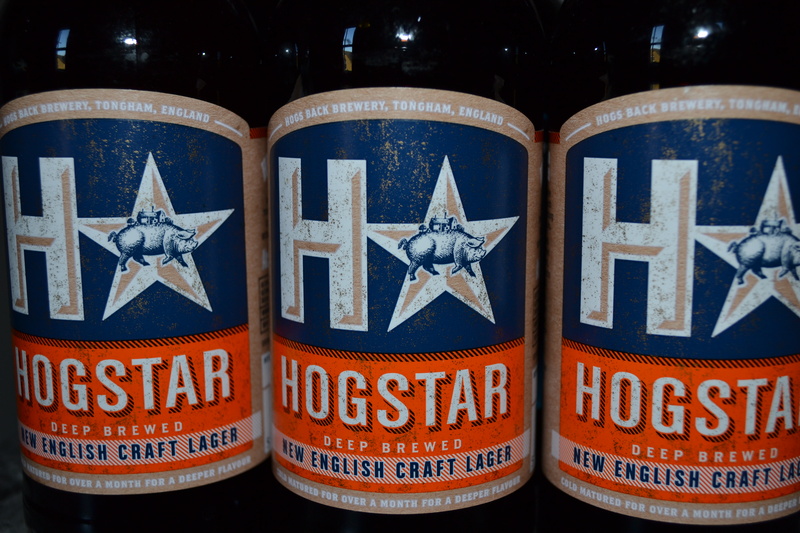 Hogstar is itself a relatively new addition to Hogs Back’s repertoire. Well-known for their traditional range, the 4.5% lager was a bit of a departure from their usual style, and was launched late last year. It is brewed with five different hops to bring out both bitterness and aroma, as well as lager malts, a hint of crystal malt and botanical extracts. It is then matured for over a month, during which time the lager’s flavours deepen and develop. It is unusual for modern commercial lagers to be matured like this, although of course, this is the traditional way that this style was made. It is unpasteurised and the carbonation develops naturally. The beer pours clear and golden, perhaps a shade darker than you would expect, and the quality of the lager shines through when you taste it. The brewery describes it as ‘a light, fresh, refreshing beer carrying a rich but well balanced chocolate and hop flavour, evident both on the nose and on the palette’. We got huge hits of cocoa on the nose, a sweetness that was reminiscent of soft fruits and berries. Mr Pip likened it to cherry hot chocolate. But underneath that sweetness was that distinctive pilsner hoppy sourness that promised more than a gimicky flavoured beer. Our previous experiences with chocolate-flavoured beers have been pretty bad (Hotel Chocolat, we are looking at you), but Chocolate Lager finally soothed my chocolatey beer nightmares. It tastes nothing like you’d expect after such a rich and sweet nose. The beer has light carbonation and has the crisp, fresh feel that you’d hope for from a lager, with a clean mouthfeel. There is a decent hit of bitterness across the back of the tongue but also a delicate and subtle sweet cocoa aftertaste which complements the bitterness rather than making you feel like you’re swilling a syrupy soft drink. It really is delicious. “As projects go, beer and chocolate is probably about as good as it gets!” says Simon Pattinson, co-founder of Montezuma’s. “This is one of the few chocolate lagers in the world and definitely a challenge to perceived wisdom, but give it a go and be prepared to open your mind to a lager that flies in the face of convention!” The interesting pairing could also lend itself to food and beer matching, as Rupert suggests: “Chocolate puddings are notoriously difficult to complement with wines but could work very well if this lager were added to dessert menus”. 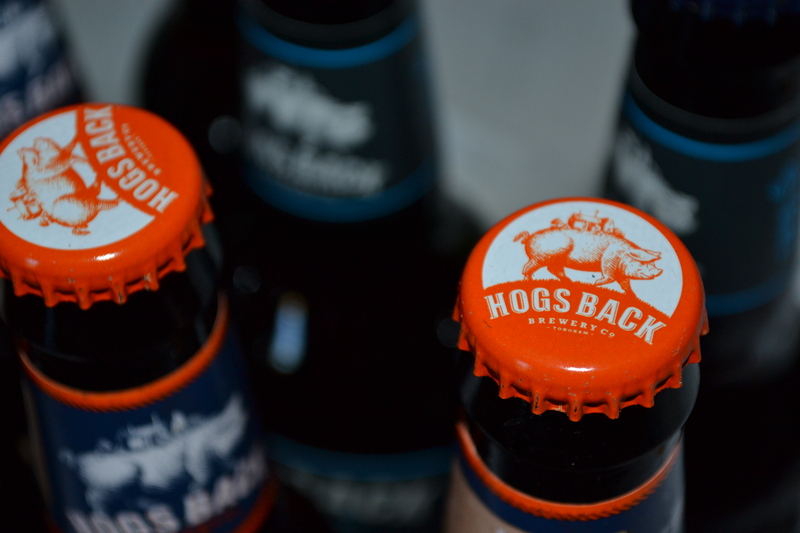 The beer is available from the Hogs Back webshop and their brewery shop in Tongham, Surrey. Making the most of the Father’s Day present-buying rush, Montezuma’s is selling the beer on their website as part of nifty gift sets which include the Lordy Lord chocolate. Frankly, the “Happy Father’s Day” labels emblazoned all over these is not deterring us from buying them all for ourselves. Not in the slightest. Want more beer and chocolate? Check out our coverage of the Dea Latis beer and chocolate matching event, which includes Montezuma’s Peeling Amorous chocolate. 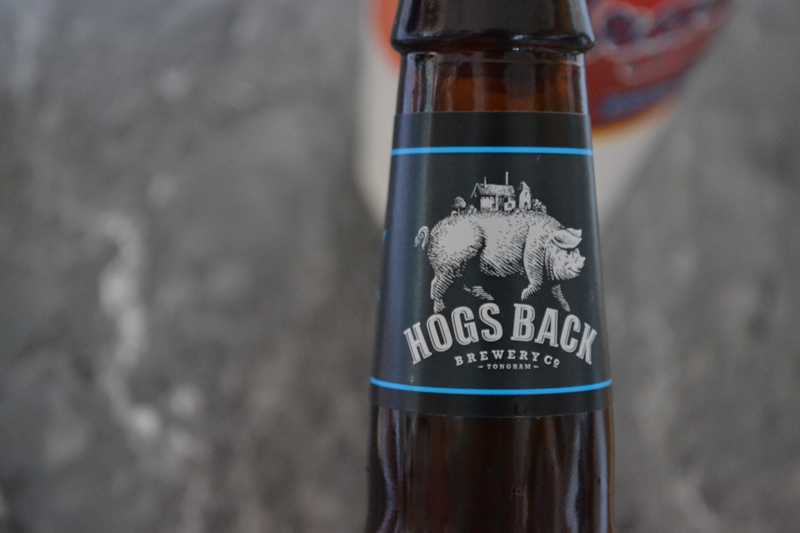 This entry was posted in Reviews and tagged Beer, chocolate, chocolate beer, fathers day, hogs back brewery, montezumas on 10/06/2014 by icipints.